Easy to use accounting and bookkeeping software with all the usual requirements for Small Business and Subcontractors. Simple, Easy and quick giving you back your confidence with bookkeeping. Create Invoices and Account for Sales Tax. 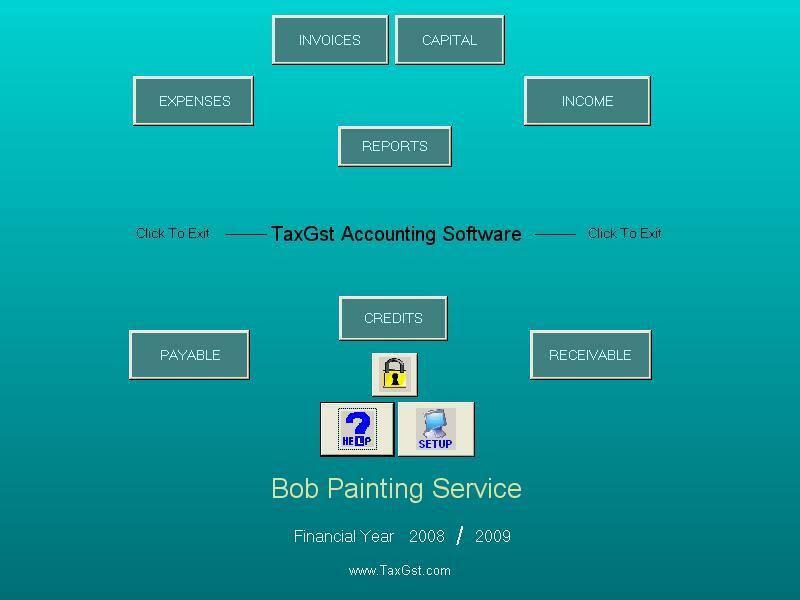 This accounting software offers all the usual items that Small businesses and Subcontractors need, invoicing, income and expenses, sales tax, accounts payable and receivable (if needed). You will get simple easy to understand accounting based on old methods. Simple easy to use, which means getting back to enjoying your life instead of wasting away in front of the computer, Try TaxGst Accounting and Bookkeeping Software on a 60 day trail. Our Simple and Easy Accounting approach means you have flexibility with using our software. If you only need a program to do invoicing then it can used for that. If you only want to record your income and expenses and grab a simple profit and loss report, then its going to be perfect. If you want to run your business and record all your income and expenses and sales tax and invoicing, and maybe even manage some accounts payable or receivable then you can use our software also. You can choose to use as much of this business software as is applicable to you and your business. The areas of the software that you find are useless to your operation (unless its an important accounting practice) can simply be overlooked.